A Bret-Mar landscape is not so much a signature of Bret-Mar, but rather a reflection of the dreams of our customers. You will find there is a difference when dealing with landscape professionals who both design and install your landscape or hardscape. 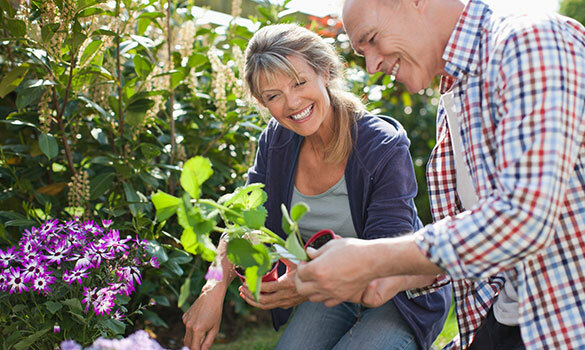 With over 30 years of experience and resources such as our 5 acre nursery, we're equipped to help you create the outdoor living space of your dreams. Extend the living space of your home to the outdoors. Let us create a space where memories are made, family gatherings happen, and neighborhood children gather. 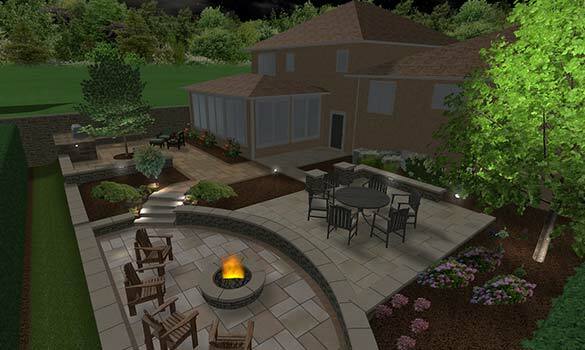 Our landscape design capabilities in New Lenox, Lemont IL include the following, and more! We recognize our clients are investing in their property. Therefore, we collaborate to reflect their individuality and personalize each project. Our initial consultation includes an on-site interview, during which we will survey your landscape, take measurements, and discuss your goals. We develop full scale plans, including digital photos, 3D renderings, and a computer generated design in "real-time walkthrough". During our second meeting, which takes place at the Bret-Mar office, we will collaborate to review your plan and select the materials for your project. You will receive an estimate for the project at this time. 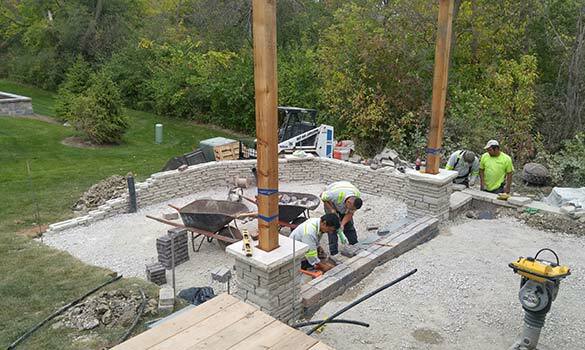 Our professional and experienced landscape installers have one thing in mind: creating your dream landscape. Throughout the entire installation process, you will work with the same dedicated designer, who will oversee the crew and make sure the result matches the vision you created.